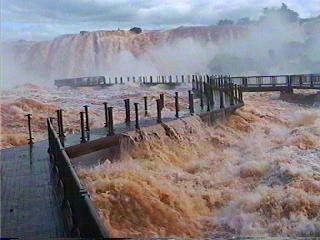 Tafi del Valle is the most important touristic centre of Tucumán Province. It is a village sorrounded by mountains, in the mid- west of Tucumán, 107 km away from the capital city. The name of the village comes from the diaguita word "Taktillakta", that means " Town with a splendid entrance" and the village is an excellent combination of mountains, rivers and climate inviting the tourist in any season of the year. The average temperature in Summer rates 26º C and in Winter rates 16ºC. It is situated in a deep depression and borders on Calchaquí mountains to the east ( Mala Mala and Tafí Mountains at 3,500 m above the sea level) , on Muñoz Hill ( 4,440 m ) to the west and to the south on Nuñorco Grande at 3,500 m above sea level. Tafí provides an excellent alternative to enjoy interesting sightseeings and excursions to the high mountains, fresh valleys and springs among fields of fruit-trees. 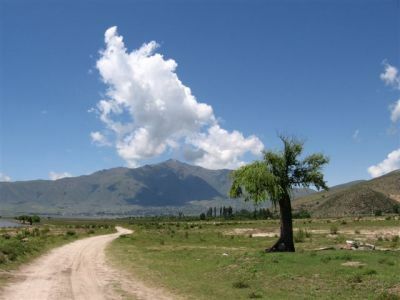 Van excursions to Los Sasos River , hiking to Pelao Hill , horse- riding to Quilmes ruins or rides by truck in the valley are some of the chosen activities by tourists. The visitors will find outstanding sites like Nuestra Señora del Carmen Church , la Quebradita narrow pass and La Angostura dam which is an ideal place to fish pejerrey or practice water sports. Apart from that, there are a few archaeological reservations, some of which are almost unexplored. Thousands of tourists choose Tafí del Valle as a place to spend the Holy Week in order to bring Easter celebration back to life. There is a play called “ The Passion of Tafí del Valle ” which commemorates Christ´s Passion. Tafí is a charming place to visit, being evidence of its culture and its people´s hospitality. Today, there have been 23 visitors (78 hits) on this page!